We now have a sales force that has expertise in both instruments and consumables which together provide our customers with world-class solutions in science. Progress in the commercial area has also been exceptional with our acquisitions of CyVek, PrimeGene and Novus Biologicals. Novus Biologicals has had a stellar 2016 year, with revenue growth now running at near 10%. CyVek's SimplePlex™ platform is now receiving market acceptance, particularly with some key peer review papers just released. We still see huge potential with this business. 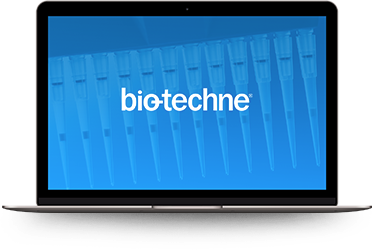 Roche is using this technology in three clinical studies and has offered support for the technology by hosting webinars with our staff. PrimeGene completed a new, state-of-the-art factory in Shanghai dedicated to the development and production of GMP proteins. 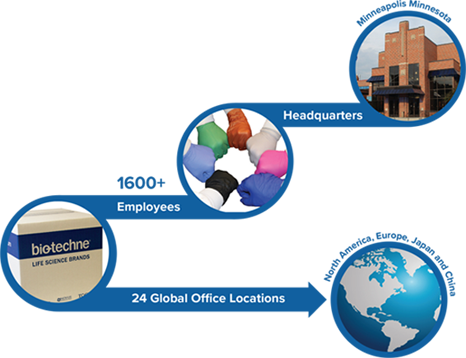 With the help of PrimeGene, our "China for China" business has experienced strong double-digit growth. It's one thing to have new products and platforms, but we also needed a strong channel to reach customers, especially academics. We launched a new R&D Systems website last summer and the results have been good. The high single digit growth we have observed in our antibodies and proteins portfolios, we believe, have resulted in part from the 10% increase in website traffic. Additional organic growth came from another fantastic fiscal 2016 year in China as they achieved 20% growth. In three years, we have tripled our China-based revenue and expanded our staff from 12 employees to nearly 100. We see China as a continued growth driver for the company, with an expectation of revenue near $100 million in 3 to 5 years. We have added new leadership in the APAC region, Asia Pacific and following a global subsidiary model we now have operations and managed distribution in virtually every couAsia-Pacific region. Consequently, we have seen strong results in Korea, India and Australia.